Monday, February 1, 2010 at 6:37 a.m.
A 4.4-magnitude earthquake that struck offshore of Baja rumbled through the county early Monday. The temblor was reported at 6:19 .a.m. and was centered 31 miles offshore west of Rosarito, Mexico, about 42 miles south, southwest of Imperial Beach and 3.7 miles deep, according to the U.S. Geological survey. Sheriff’s Department Lt. Hope Andrews said the building shook in Kearny Mesa and police in El Cajon, Chula Vista and Escondido also reported feeling the quake. After an inauspicious morning welcome we decided to just hang around camp to do chores, rest up and prepare for the evenings activities. Kit used the time to spruce up the trailer and goof around on the internet and I went for a nice walk in the canyon and the area up on the mesa. This evening we were invited to the home of my best friend from the old neighborhood, Rodney Olson and his wife Gloria. 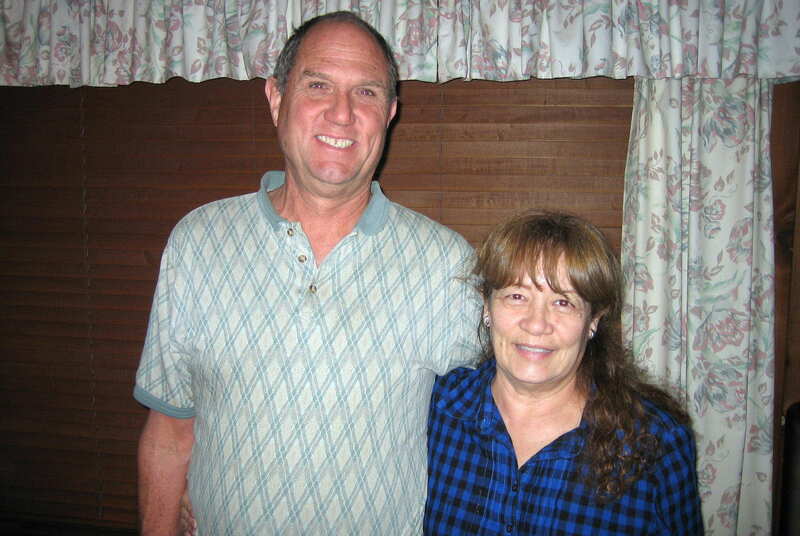 Rodney and Gloria live in the foothills of the Laguna Mountains, an area called La Cresta. They have a beautiful home with very nice decks, gardens and patios. Gloria, originally from Tecate, Mexico made an incredible meal with Tortas, rice and beans. Rod served us cold draft beers from his keg. We haven’t seen them in 10 years and had a lot of catching up to do in addition to remembering stories from out teenage years. Kit and I had a great evening and hope to stay better connected with them in the future. Tuesday, February 2, 2010: Groundhog Day! We don’t have Punxsutawney Phil on the west coast but we do have San Diego Sammy…..a cute little bunny that frolics in the morning sunshine outside our camper window every morning: and oh by the way…..he does see his shadow. It’s weird however each morning there seems to be more and more of him. Wonder how that happens? Since today the same old boring San Diego winter weather, sunny and warm, we decided to play tourist. 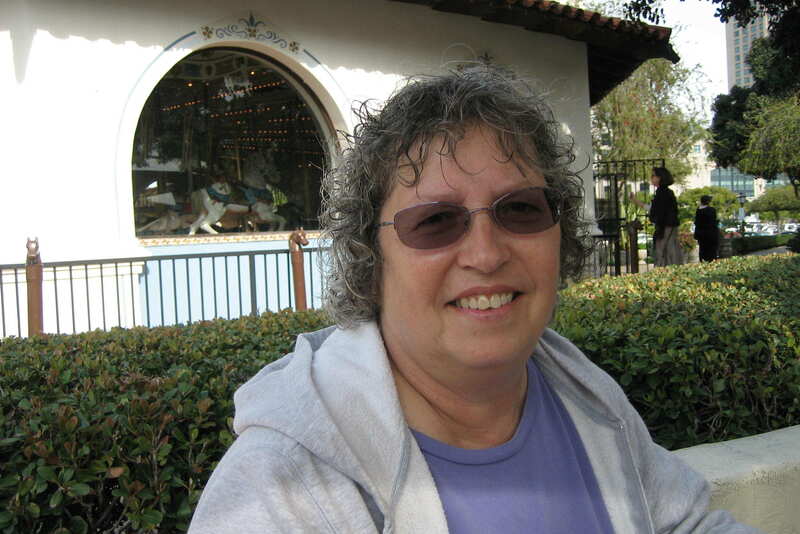 First, Kit and I went to Seaport Village located in the waterfront portion of downtown. 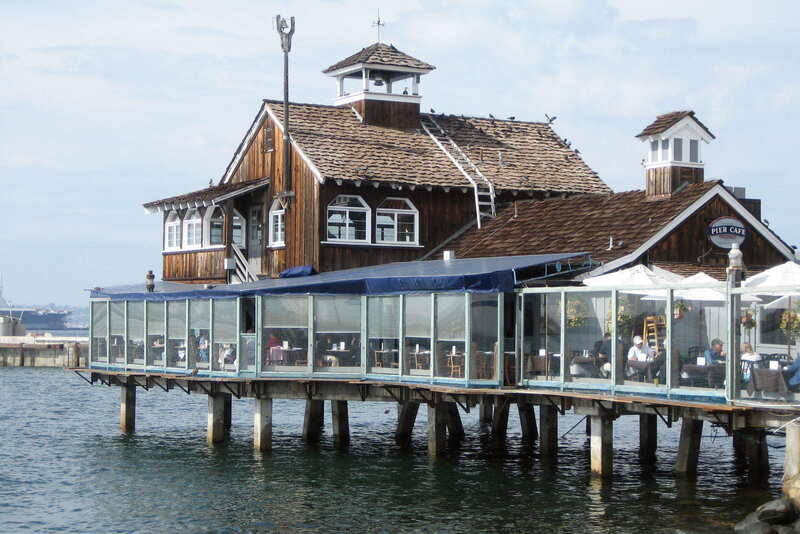 This revitalized area sits on San Diego Bay and is a popular tourist destination. Years ago the area was a bit seedy and run down, populated by sailor bars, the shrimp fleet and its associated processing houses and canneries. Today it is a trendy area with many neat little shops and features musicians and other street performers. Also it is an excellent “people watching” place which is a favorite pastime of mine. While Kit shopped I hung out on the waterfront, watched the world walk by and studied the various, trees, plants and flowers. 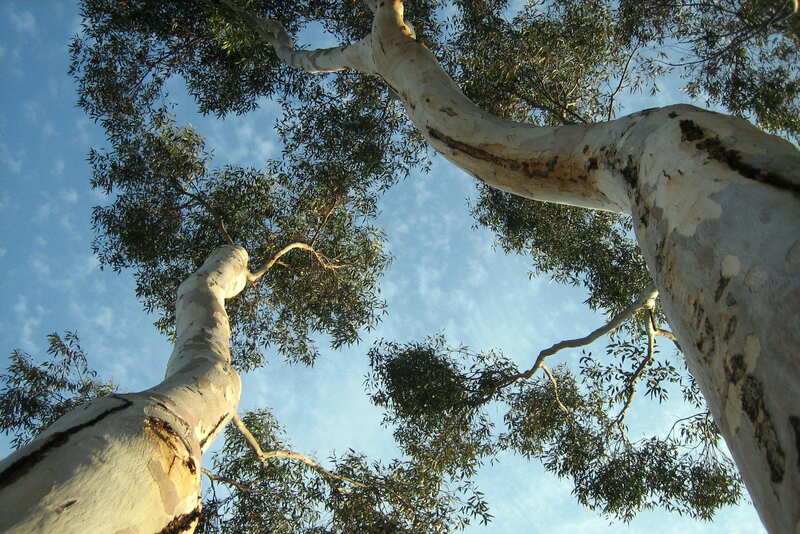 One such tree is the Eucalyptus. These majestic and aromatic trees are prominent throughout the city. As common as Maple, Elm and Pine trees are back home. 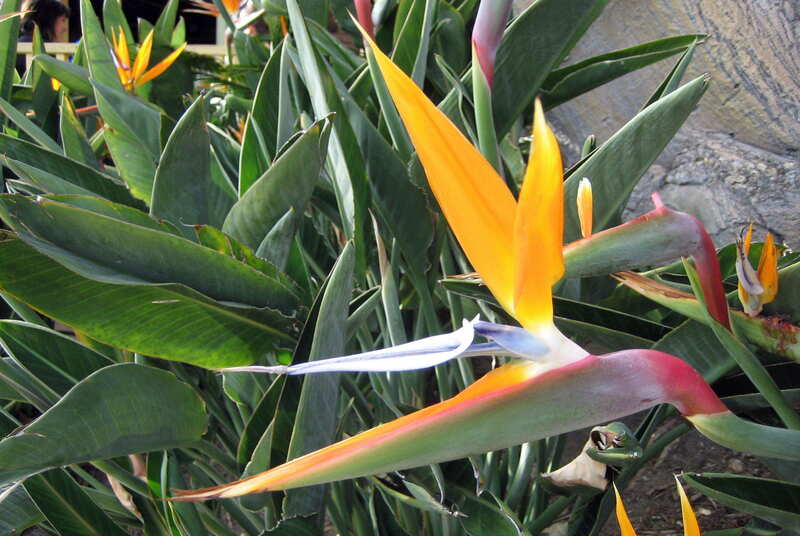 One of the native flowers to the city of San Diego is the Bird of Paradise. As beautiful as these blooms are I didn’t stay around too long. I didn’t want the thing to fly up my nose…..nor was I too crazy about an elephant caressing me with its toe’s. Hey, the world famous San Diego Zoo is just a short distance away. It could happen…..just ask Little Jimmy Dickens! After satisfying my horticultural curiosity (which took about three minutes) I spent the rest of the time watching both natives walk by and enjoying the various street performers. 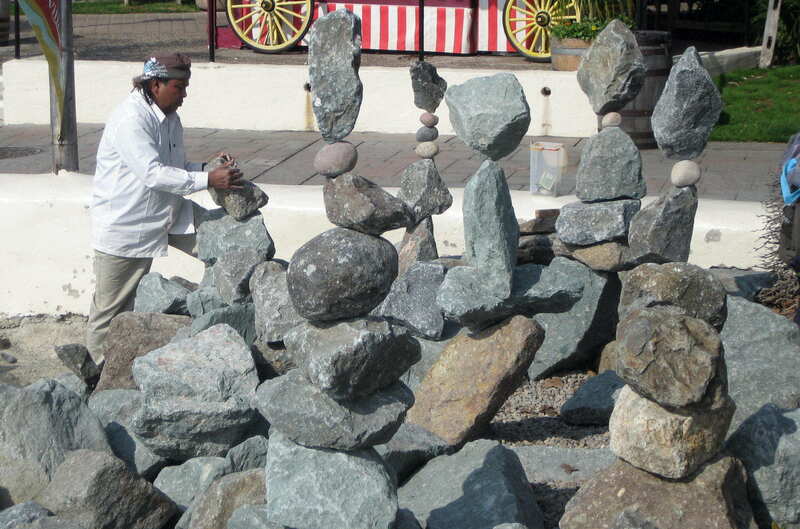 One guy that fascinated me was the Rock Stacker. This guy set up next to the breakwater the city had placed between the pedestrian walkway and the bay to prevent erosion. He put out a small sign and a tip can and went to work. All these stacks were held together by gravity working with the texture of the rock. He was very patient and worked with a focused singular purpose. 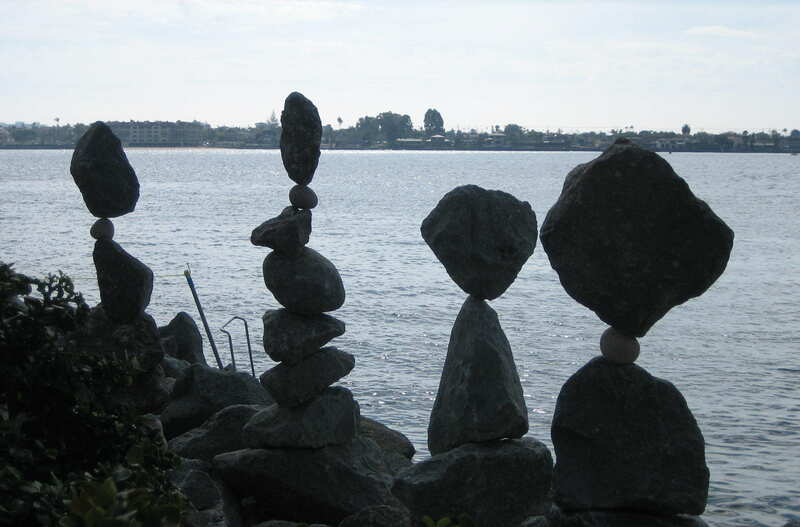 When pressed about why he did this, the Rock Stacker smiled and said in his broken English; I guess I just have rocks in my head. I put a few dollars in his tin cup…..guess I have rocks in my head as well. While standing in the sunshine watching the Rock Stacker do his thing out in the bay I noticed the following inspiring sight. 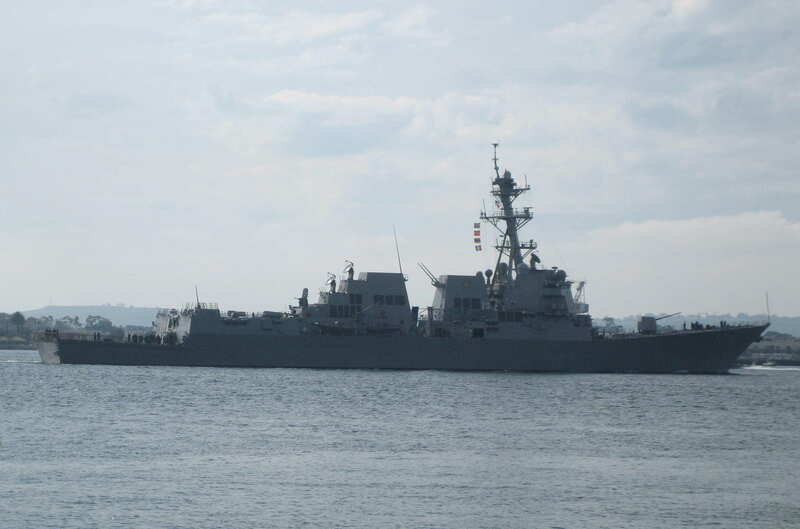 It is the USS Sterret DDD-104, a fine Bath, Maine built ship and one of the last Arleigh Burke class Aegis Destroyers that I worked on before retiring from Lockheed. It was nice to see it sail majestically down the bay putting to sea for some exotic destination. I learned later that it was actually heading up the coast to Seal Beach for ammunition on-load. But then I bet it goes to someplace cool. This particular ship was to be near the end of the run of 61 DDG’s. However the US Navy couldn’t find a suitable replacement so they wisely decided to continue building them. Great news for Bath Iron Works, Lockheed Martin, the US Navy and for America. The Aegis Destroyer is one capable warship…..even twenty years after they were designed. 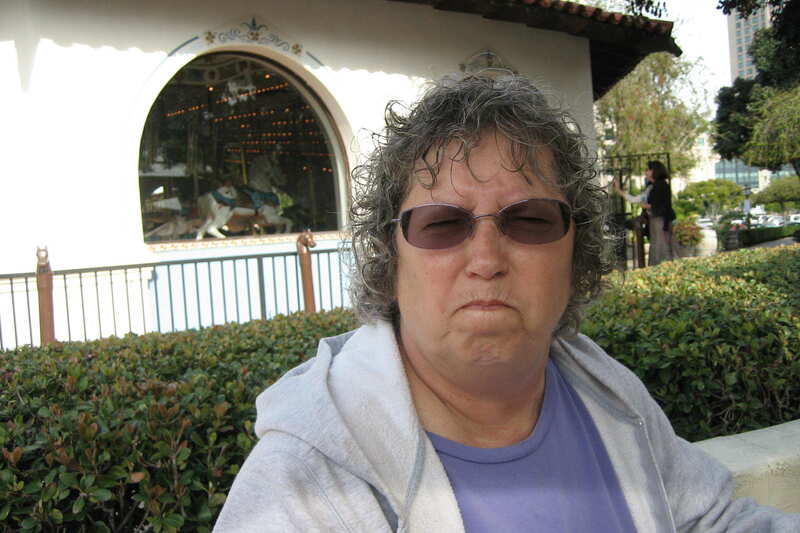 While at Seaport Village I did have the special privilege of studying a truly fascinating species of the animal kingdom…..The Wifus Upsetus! Using special high speed photography I was able, for the first time in history, capture its signature trait, “The Mood Swing”. You can verify how rapid the change occurs by noting the relative position of her sister species in the background. I’m sure I will receive a National Geographic fellowship due to this very perceptive and ground breaking study. Kit’s Corner: I can’t even remember why I was mad. He must have done something stupid, no doubt…..
After we left the first aid station I decided we needed to go somewhere tranquil for a while. So off we went to the Presido. Didn’t spend much time here as it was getting late and we were getting a bit hungry. I wanted to take a look around as it had been about 35 years since I last visited. 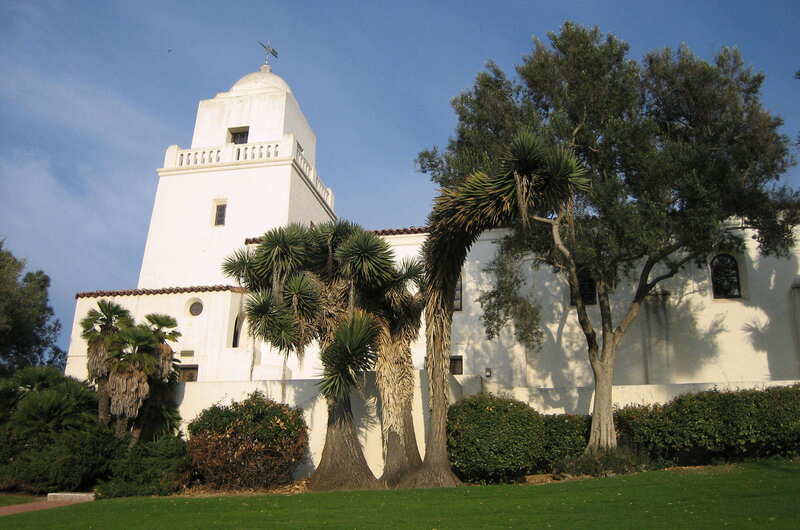 The old Mission was still as majestic as I remember and the surrounding grounds were still very beautiful. Next we made our way to Old Town, which was part of the historic area of downtown. We strolled through a few shops and then had a great Mexican meal. 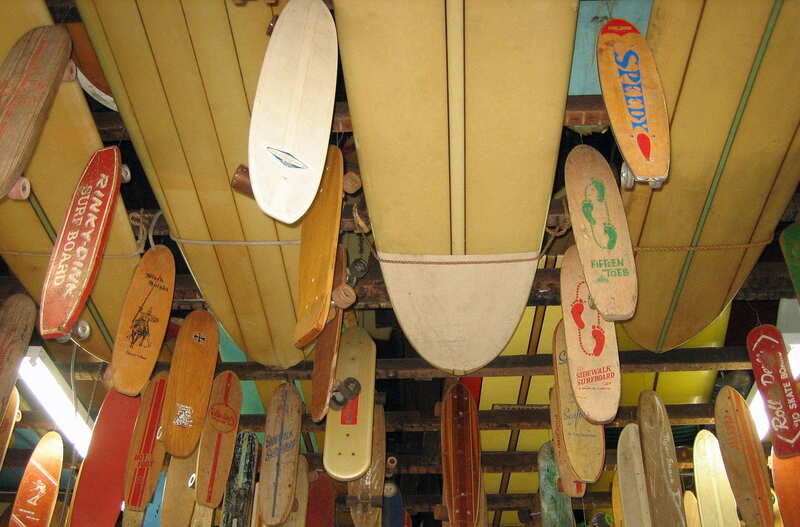 One of the shops we visited was a surf shop which contained a bunch of antique surfboards and skateboards hanging from the ceiling. The display was the personal collection of the shops owner and was worth quiet a bit of money. The board off to the right was similar to the one I had as a kid…..it brought back a ton of memories. Stay tuned for Part Two of San Diego revisited! I didn’t even know about that earthquake! I was sitting in an airplane, on the runway, at that very moment. We had a great time visiting with you both! Your notes just reminded me what a fine city we have here, and I need to get to Old Town again soon! Bill, did you ever ride your bycle down the humps on the lawn, right below the Mission. I didn’t know until a few years back that I was riding on dirt and grass covering the old ruins. Never did that…..however it sounds like fun. I did ride down Mission Village Drive a lot. Back then it was a steep and rough two lane road. We used to race to the end which as you know is a cross street called Friars Road. It was kind of a game of chicken as to who would make it first without flying off into the San Diego River. On one particular occasion it got real interesting…..read about it in an upcoming journal.